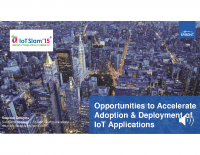 The presentation explores the challenges which risk delaying wide-scale IoT adoption, the opportunities how to address these challenges today and the idea for a new methodology for making IoT adoption Simple, Safe and Secure. Stephen works for Spirents strategy organisation helping to define technical direction, new innovative solutions and market leading disruptive technologies which make a real difference. With close to 20 years’ experience in telecommunications Stephen has been at the cutting edge of next generation technologies and has worked across the industry with multiple Service Providers, Start-Ups and tier 1 OEM’s helping them drive innovation and transformation. 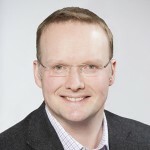 Stephen is an ardent believer in connected technology and strives to challenge, blur and break down the silos which prevent innovation and business success. Speed of growth, types of applications/devices and skill sets of new IoT solution providers will radically change the dynamics of carrier acceptance and testing. To meet the challenge and not be a bottleneck new procedures need to be adopted: Fast baseline acceptance testing for minimal (critical) adherence (i.e. connectivity, security). Then, use live analytics to determine device/application performance, network performance and customer experience after a few device go live. Continuously monitor for service and network assurance.